Methpedia.org is a comprehensive online database of authoritative information and up-to-date resources related to methamphetamine. It provides relevant information, effective strategies, timely new updates, interactive “tools”, prevention programs and treatment options. The site is specifically designed for a variety of persons interested in this issue – parents and policymakers, students and teachers, law enforcement officials and community leaders, retailers and businessmen and women. 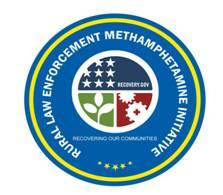 Drills down information from the national to the state to the county level related to methamphetamine. With proper information and strategic thinking, parents, communities, law enforcement officials, educators, public health officials, and youth can combat the forces that contribute to methamphetamine use and addiction.